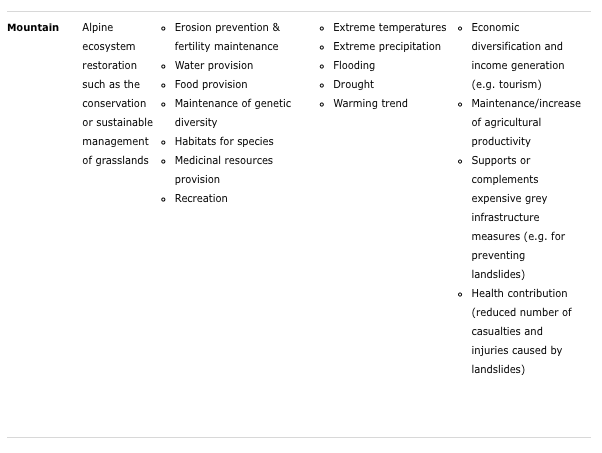 The implementation of EbA measures can be based on either a certain ecosystem service (e.g. 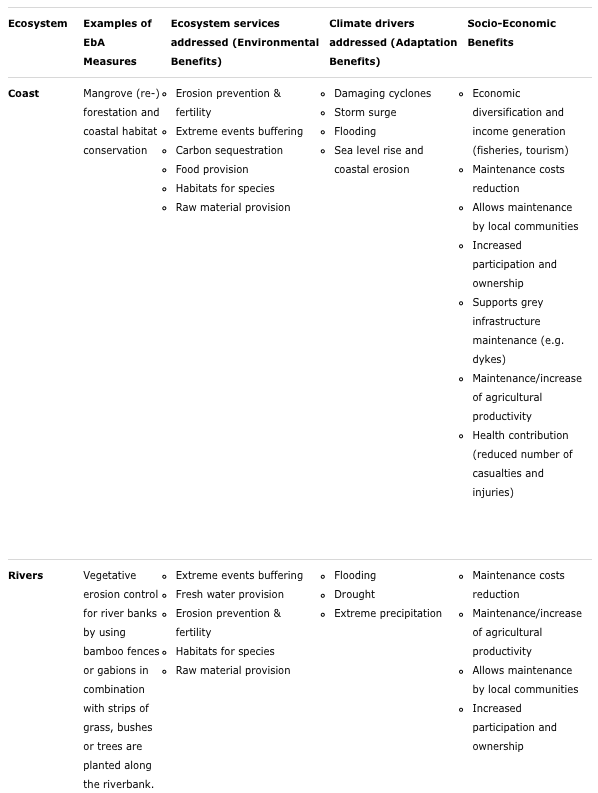 water retention), part of an ecosystem or on one or several ecosystems. In general, the type and state of the ecosystem as well as the intended outcome determine the measures to choose. One focus of EbA for instance is “green infrastructure”, which can complement or substitute hard, or “grey”, infrastructural measures such as dykes, dams, river stabilisation structures or man-made water reservoirs. 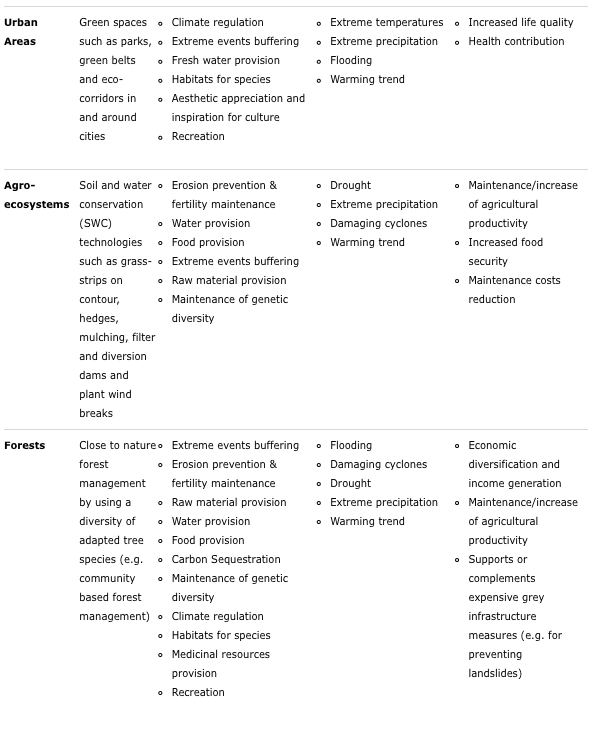 The following table gives an overview of ecosystems, the hazards and measures that can be applied as well as the environmental, adaptation and socio-economic benefits they may achieve.